There’s a saying amongst diehard car enthusiasts that you should always take a look back over your shoulder at your car each time you park and walk away if you are truly in love with your vehicle. Writing this, I know I for one that I am certainly guilty and nobody can ever deny the love and passion that RCIB Insurance Racing staff have for specialist car ownership and for Motorsport. So, as well as sponsoring cars in BTCC, Rally and VAG series, RCIB Insurance Racing also have a foothold in the British GT Championship too. For the 2nd year, Team HARD (who also run 3 Autoaid/RCIB Insurance Racing VW Passat CC’s in BTCC) are running two cars in the British GT4 Championship, with both Autoaid and RCIB Insurance Racing livery for 2017. 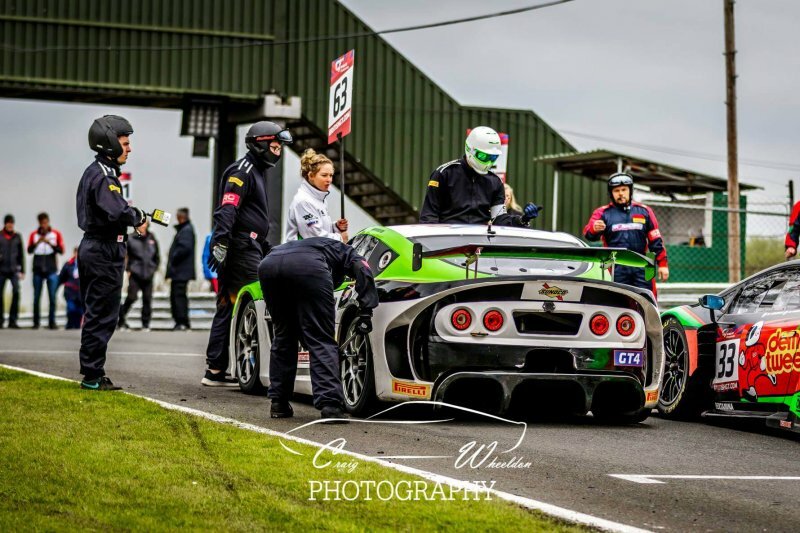 The Championship itself is fairly well known to contain some of the best looking metal known to the Automotive industry and the Team HARD run, Autoaid/RCIB Insurance Racing sponsored cars must surely being seen to do their ‘bit’ with the track deployment of 2 x Ginetta G55 GT4 cars. The 2 cars for 2017 are driven by 2 partnership duo’s of Mike Newbould and Michael Caine and Howard Fuller and Sam Webster. Made in Ginetta’s Leeds factory, the cars are built with many hand crafted components which has helped establish the brand on a global scale as a Heritage ‘race car brand’. One can feel, just by following the lines and curves of our own sponsored G55’s, that the designer was very much in tune with how a car needed to look, as well as perform on the World stage. Autoaid, and parent company RCIB, are proud to be associated with this iconic British brand, and indeed with our good friends at Team HARD who help represent us so well on the tarmac…but even now, we still have to look back over our shoulder one final time at the stunning G55’s each time we walk away. We just wish we could take them home.